Let's get to know the brand a little better by the packaging. All of the La Mer products have a similar aesthetic. The packaging is simple and looks rather sophisticated. White, clean, no-nonsense. But do you know the story behind La Mer? The founder is Max Huber, an aerospace physicist. After a laboratory accident (he got burned very badly), he began a personal quest to transform the look of his skin. When he was in California, he saw some surfers who wrapped their arms in kelp to block the sun. Not only did it block the sun, their arms were also very soft, and that's when Max Huber began harvesting the kelp for its regenerating abilities. Twelve years and 6000 (!) experiments later, The Miracle Broth was born. The Miracle Broth is formulated with nutrient-rich sea kelp and other pure ingredients. Thanks to the healing powers of the sea, the skin is able to focus on natural repair and renewal. Of course, couldn't be missing: Miracle Broth (= hydration, renewal, softening, calming and radiance). There are also marine ferments that help even, smooth and repair the look of lines and wrinkles. What I really like is the high SPF, it has a SPF30! And anti-oxidants help protect from environmental stressors such as pollution that can age the look of the skin. This way it makes the skin more glowing and healthy. You should use this over your La Mer moisturizer. I did this, but even if you haven't got the La Mer one, try to apply a moisturizer first. That way you get a more flawless effect. This sounds all so promising, and I wasn't let down. A tinted moisturizer sometimes is a risk, a risk of just not even noticing the tint. But I'm really happy with the result: subtle but definitely covering. And it makes the little flaws disappear in a natural way. You can see on the (iPhone, sorry for the quality!) 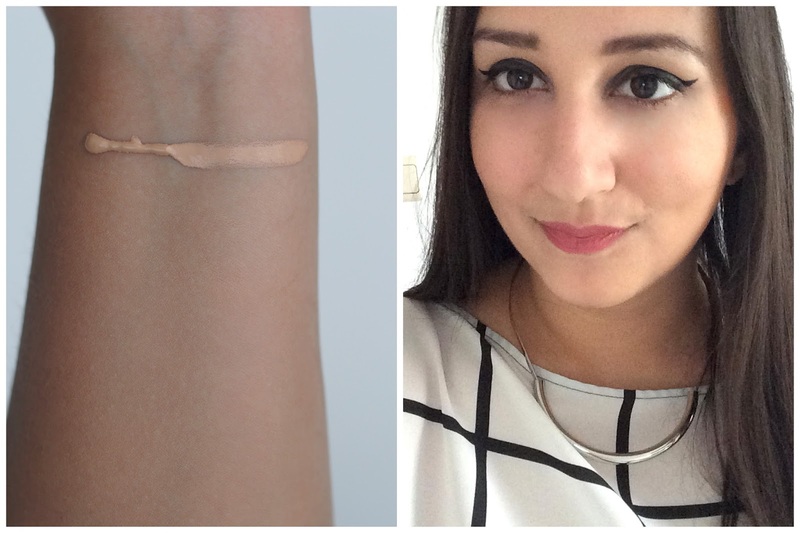 photo that it covers pretty good to be 'only' a tinted moisturizer. You can still see my little summer freckles, but it got my skintone evened out and gave a healthy glow. I wore a concealer to cover dark circles, and it wasn't a problem to match it with the skintint. I also used a bit of mattifying powder because I like matte finishes, and this one has a satin, maybe even more dewy finish. In short, what can you expect from the La Mer Skintint? A light, natural finish which hides redness and small flaws + a strong SPF. This one is just perfect, but I do love a good coverage from time to time. And since I absolutely love the skintint, I'm really curious about the La Mer foundation, concealer and powder. The whole 'more coverage' package. Like you said, the packaging looks really sophisticated. I really like it! And the skintint looks great on you! It really is, I'm very happy with it! Wow wat een goede dekking! Lamer is natuurlijk wel top. Dat heb ik nu echt gemerkt, ik ben helemaal verliefd! Ooh, it looks amazing on you! Ik kende het merk eigenlijk nog niet, maar het ziet er echt luxe uit. Mijn mama was toevallig opzoek naar een hele lichte bb-cream, maar alles was te zwaar. Deze ziet er echt perfect uit! Kan je deze ergens gaan testen? Hij lijkt me top! Ik denk dat als je dat vraagt bij Ici Paris XL, dat ze wel ergens testers moeten hebben.